Cheer Tryouts for EPMS Football and Basketball are next month! Please bring in or email a permission note in order to participate! 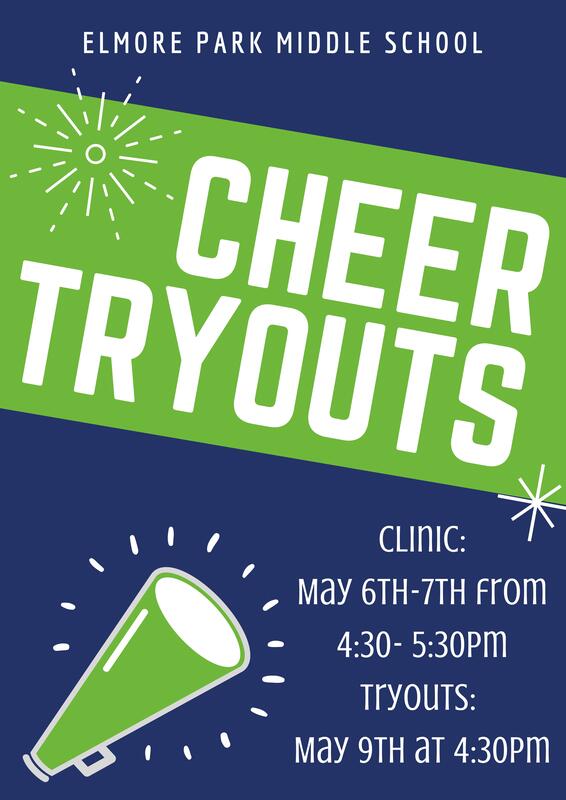 All candidates are required to attend at clinic days along with the tryout day. Please wear athletic clothing each day. Closed auditions will start at 4:30pm on Thursday, May 9th.